Hello my dears, I apologise for not blogging for a while, but what with exams (which are finally over for now) and going back to work full time, I have had very little time to read and review. But I am back now so you can look forward to lotsa reviews over Christmas and the new year! This book was given to me free in exchange for an honest review. I tend to read quite deep, complex stories that drag me into their world, and make me really think about what is happening, keep me on edge. And I really enjoy that but it's nice to have a light read every now and again. Something that makes you want to smile and that's exactly what this book made me do. 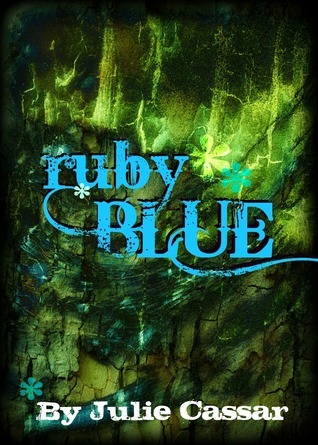 Ruby Blue seems like an ordinary teenager, adores ice cream, has a goth gay best-friend....and she can see fairies. Ruby's character is bursting full of life, drama and fun (mostly). At times, she can barely speak a full sentence in front of her first love-crush, but is not shy enough to stop eating in front of him! The fairy element is incorporated into the story very well, in the way that her two fairy friends can take human form and she has been close to them for 12 years. The overall simplicity yet, 'sparkle' of the story is enough to raise anyone's spirits. I would recommend this book for everyone, especially for the early teens. Sometimes it's nice to have a story with a happy ending.